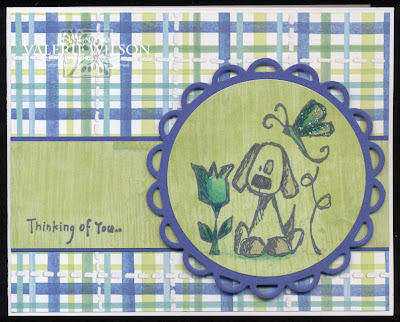 "Summer's ALMOST here and when I think Summer, I think BRIGHT......the Brilliant Yellow Sun, the bright green grass, bold blues in the lake and the variances of bright and cheerful flowers....so I challenge you to create a Bright Card!!!!" Great card, love the layout of it! What a lovely and beautiful card, Val!